Most people that know me understand that I am rarely star-struck. It takes a LOT to get me to top in my tracks. Grothouse Lumber Company did just that in the middle of KBIS. I had to consciously remember to close my mouth. The Pennsylvania-based Grothouse Lumber Company is as the forefront of custom wood surfaces and has been featured in just about every legit design mag and even on This Old House. 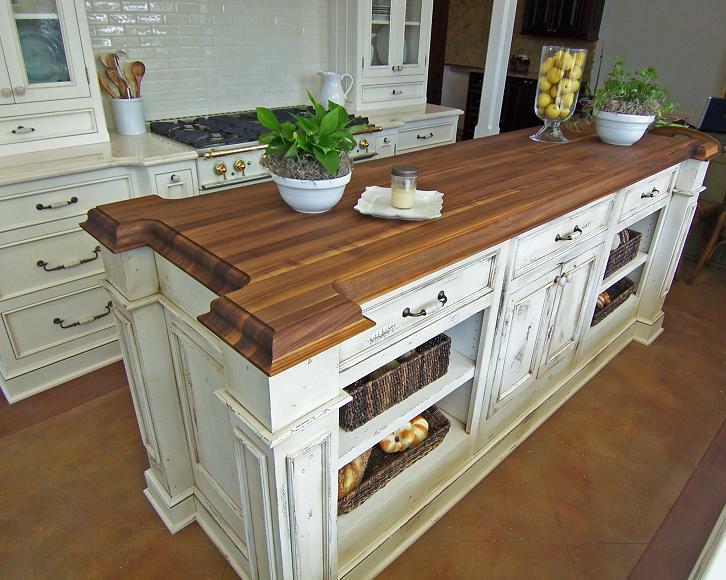 Grothouse tops are made from more than 60 species of wood, 30 standard edge profiles and 40 stock stains. On top of the nearly limitless design possibilities, Grothouse manufactures with Forestry Stewardship Council certified wood species that can get you LEED credits! The tops are nothing short of stunning- additionally, Grouthouse recently unveiled a "living edge" that resembles a hammered stone edge to me. It's chock full of mineral streaks, worm holes and other naturally occurring effects giving the slab even more one-of-a-kind features. Perhaps the finest(and most used) kitchen gadget I have is my cutting board. After seeing this next product... I have a bad case of cutting board envy. 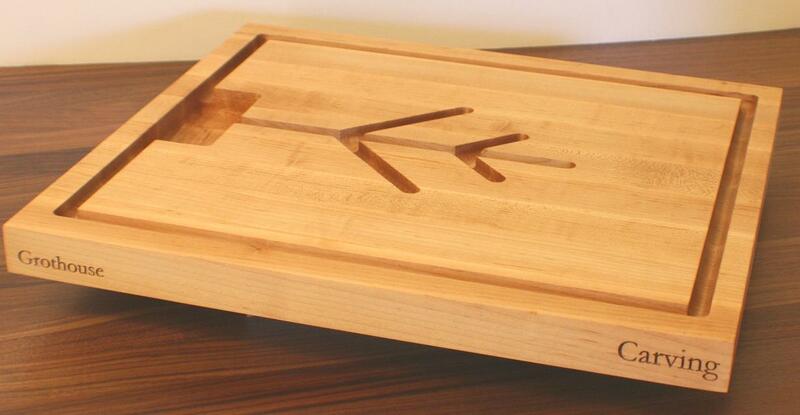 This is the Prestige Chef's Box(I like to call it #1 on my Christmas Wish List). The storage box can be fabricated in the USA from all the species that are available from the Grothouse top line and is available in multi-drawer configurations(suggested retail is $875 for three and $1599 for five). 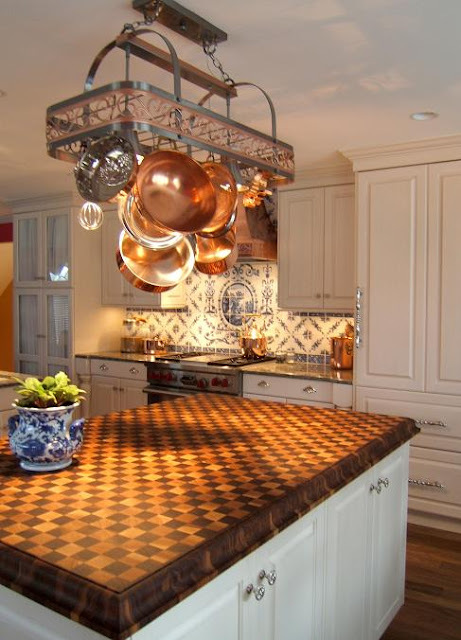 Laser engraving allows one to quickly choose the desired cutting surface. 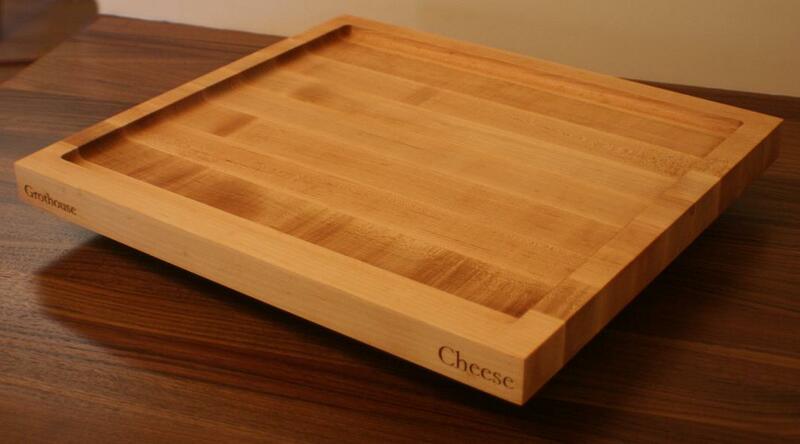 Each cutting board is coated with an edible food-grade oil finish and comes with a lifetime warranty. Like I said... right at the top of my wish list! Oh that is seriously beautiful stuff. Probably worth every penny, too. Alexis- Couldn't agree more... Seeing it up close and personal is a trazillion times better than some pictures!